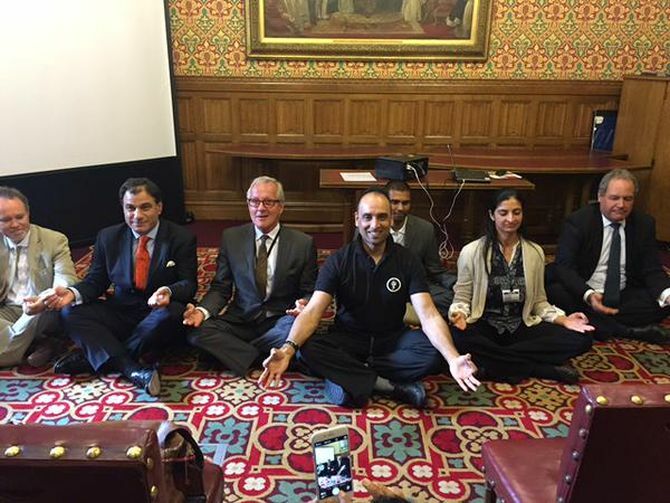 British lawmakers led by prominent Indian-origin entrepreneur Karan Bilimoria performed yoga in the United Kingdom parliament, celebrating the first International Yoga Day. Lord Bilimoria, a crossbench peer in the House of Lords and chairman of Cobra Beer, was joined by a number of British MPs and fellow peers at the event. "Over the past two and a half decades the world has increasingly been looking to India as an emerging global economic superpower. However, India's influence on the world has also been through its amazing soft power -- with yoga being a shining example," Lord Bilimoria said. "Today yoga is rapidly gaining in popularity around the world for its recognised benefits for wellbeing and mindfulness. It is wonderful that, thanks to Prime Minister Narendra Modi, the United Nations has for the first time introduced International Yoga Day on June 21, 2015. 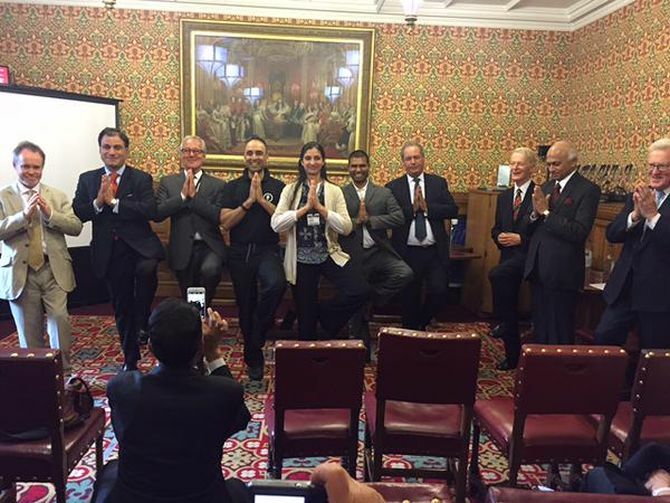 "I am delighted that we were able to celebrate International Yoga Day in the Houses of Parliament in London," he said. 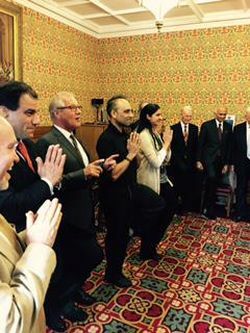 Those who took part in a yoga session in the House of Lords included former UK defence secretary Lord King of Bridgwater, former managing director of Marks and Spencer Lord Stone, and Virendra Sharma MP, chairman of the Indo-British All Party Parliamentary Group, and Bob Blackman, chairman of the All Party Parliamentary Group for British Hindus. Indian High Commissioner to the UK Ranjan Mathai said, "We are delighted that Prime Minister Narendra Modi's proposal to the United Nations to hold an annual International Yoga Day on June 21, the summer solstice and the longest day of the year, was supported by 177 countries, including Britain." Tuesday's event saw yoga teachers from around the country discuss the history of the discipline and deliver demonstrations on meditation and mindfulness, breathing exercises, and office yoga. It follows a mega yoga session on the bank of the River Thames on Sunday when hundreds gathered to mark International Day of Yoga in the UK. No kidding: Young guns put their best foot forward! Say hello to Hrithik and Sussanne's cute boys!